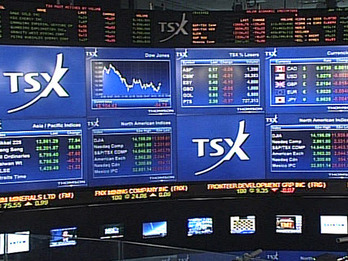 TSX Financials: Relative Triple Top ? ​​​turned ​upward only on March 31. ​​( See First Chart Below ). ​​​​​​But the most interesting technical factor is that we had a Triple Top on that ETF s Ratio ​​as shown by ​the ​​first ​​chart ​below. ( See first chart below - Ellipses ). 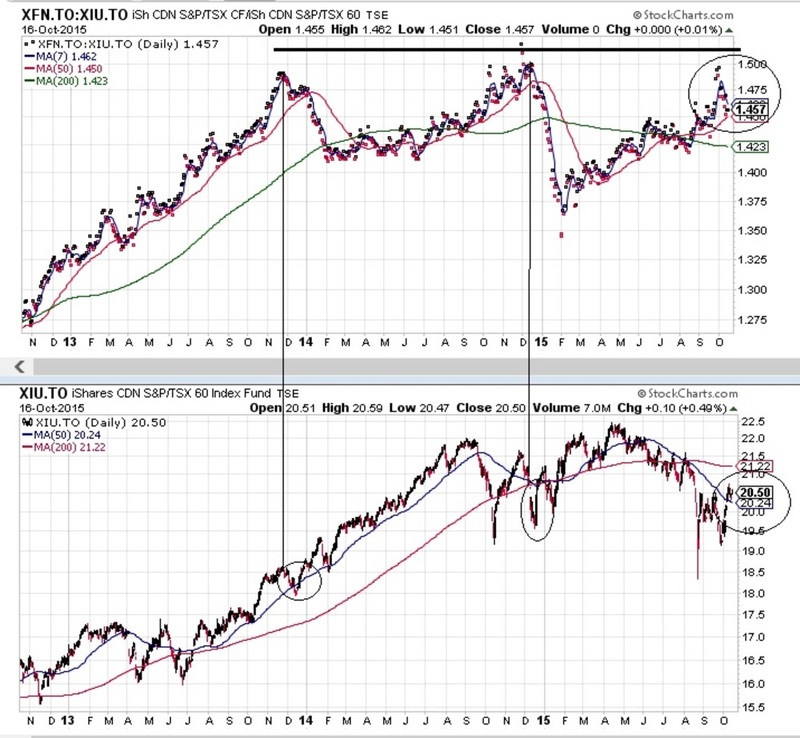 The two previous peaks on that ratio ( End of November 2014 and 2014 ) bring a price correction into the ​​ Mighty TSX60 Index ETF - XIU as shown by the chart below.